The study of voting behaviour remains a vibrant sub-discipline of political science. The Handbook of Electoral Behaviour is an authoritative and wide ranging survey of this dynamic field, drawing together a team of the world's leading scholars to provide a state-of-the-art review that sets the agenda for future study. Taking an interdisciplinary approach and focusing on a range of countries, the handbook is composed of eight parts. The first five cover the principal theoretical paradigms, establishing the state of the art in their conceptualisation and application, and followed by chapters on their specific challenges and innovative applications in contemporary voting studies. The remaining three parts explore elements of the voting process to understand their different effects on vote outcomes. 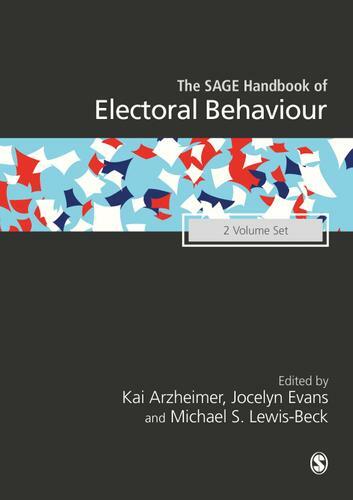 The SAGE Handbook of Electoral Behaviour is an essential benchmark publication for advanced students, researchers and practitioners in the fields of politics, sociology, psychology and research methods.